Olive oil has been around much longer than you or I. In some cultures, olives are an important part of their community. Extra virgin olive oil is the greatest quality of premium olive oil. People use olive oil for all sorts of stuff, including medicine, cosmetics, and soaps. However, consuming it yields absolutely amazing health benefits. Inflammation occurs when body repairs are needed and to shield us from illnesses. However, a poor diet, stress, and other contributors can cause the body to fight itself. 73% of olive oil is made up of a fatty acid called oleic acid. It’s a monounsaturated fat and offers great health benefits, including damage prevention caused by free radicals (oxidative stress). Oleic acid fights against inflammation which is connected to many diseases such as heart disease, cancer, type 2 diabetes, Alzheimer’s, obesity, metabolic syndrome, and arthritis. Olive oil is a huge component of the Mediterranean diet. People who live there have a lower risk of stroke, high blood pressure, and heart disease (compared to Northern Europeans and North Americans). Also, the heart automatically begins to age and deteriorate with time. The great news is monounsaturated fats (like olive oil) can improve the function of the arteries in elderly people. There are many great nutrients within olive oil that kill harmful bacteria. One of these is called Helicobacter pylori, which is a harmful bacteria that dwell in your stomach. It can lead to stomach ulcers and even stomach cancer. Unfortunately, a large amount of trans fat in someone’s diet can lead to depression. Trans fat is used in fast foods and a bunch of processed junk foods. However, consuming olive oil can reduce the risk of depression since it’s full of healthy fats. As someone who used to suffer from depression, a diet rich in vitamins and nutrients combined with exercise is a great way to counteract feelings of depression. Consuming olive oil is a great way to improve bone calcification and mineralization. It can increase the body’s ability to absorb calcium. Osteoporosis is more likely to be avoided this way. 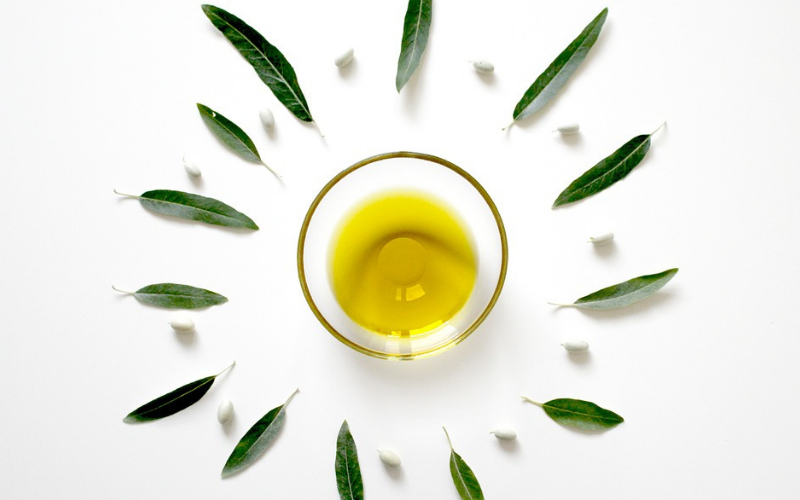 As we grow in age, olive oil will prove to be an important factor in our diets. Eating healthy fats aids in weight loss because fats help reduces hunger, overeating, and cravings. Also, the brain mostly consists of fatty acids. This means we must intake a high level of fatty acids on a regular basis to function properly. Our brains control everything, from our emotions to our thought patterns. We cannot expect to live a life of excellence without first getting the necessary nutrients that we need. Olive oil is known as a brain food that enhances memory and focus. Plus, people are more likely to suffer from mood or cognitive disorders if the brain isn’t receiving all the nutrients it needs to operate correctly. Do you already consume olive oil? What’s your favorite way to incorporate it into a meal? Feel free to share any recipes you have, opinions, or comments. If you’ve found this article helpful, please share it using one of the buttons below to support this blog. How To Read The Nutrition Label: Is It Food Or Poison? ← What Is A Budget? I knew olive oil was a good option but I had no idea it had so many benefits! Thanks for the info!